MOWER WEED 26 INCH BILLY GOAT HYDRO Rentals Ft. Collins CO, Where to Rent MOWER WEED 26 INCH BILLY GOAT HYDRO in Ft. Collins, Wellington, Greeley, LaPorte, Loveland, Windsor CO and all of Northern Colorado. Make quick work of under-brush, saplings, vines, tall grass and small trees! 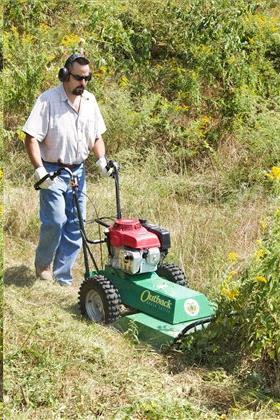 This weed mower can cut saplings up to 2 wide and brush 6' tall - all at a rate of just under an acre of brush per hour. 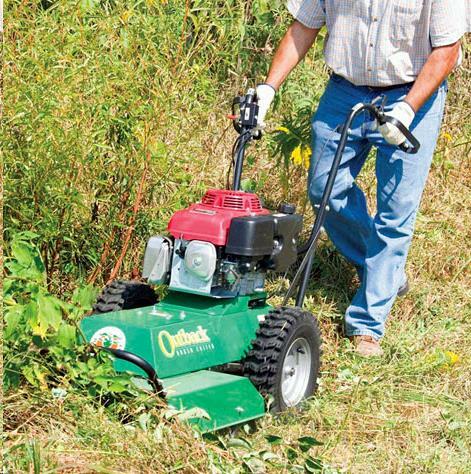 388 CC Honda engine mower is 83" long, 31" wide and 317 pounds. It has a 26 wide cut with a hydrostatic transmission. A pivoting brush deck hugs the ground for a better cut and hugs the ground for a better cut. This minimizes scalping and improves traction by keeping the weight of the machine on its drive wheels. It can handle up to 20-degree slopes. Optimistic to think gas in tank will last 4 hours. Gas is an additional charge. Trailer or ramps available for a small additional charge. 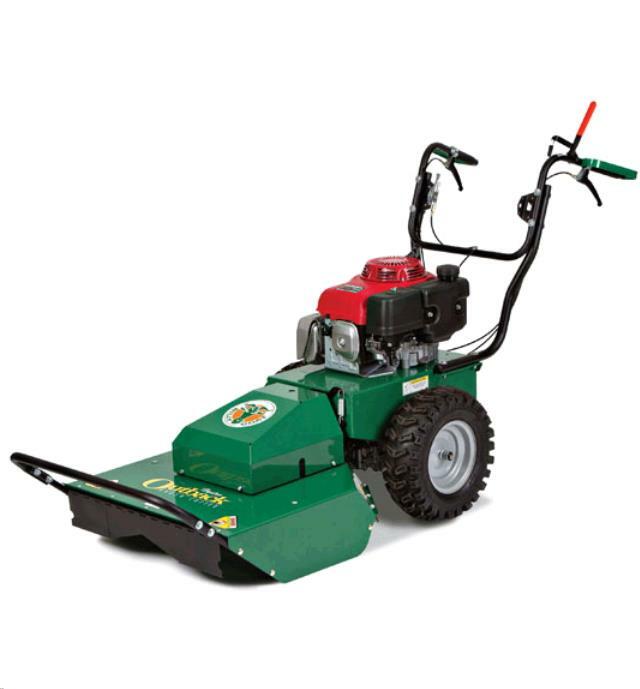 * Please call us for any questions on our mower weed 26 inch billy goat hydro rentals in Fort Collins, Wellington, Greeley, LaPorte, Loveland, Windsor CO and all of Northern Colorado.